By the time we reached the trig point on Fan Brycheiniog (2606 feet) the wind from the SW was strengthening into a gale, so that walking NW along the edge leaning into the wind made it easy to imagine how a sudden gust could take a walker over. As we descended to the Lancaster crash site at SN 8356 2180 the wind was at our backs, but shortly after we reached the site at 1315 it began to rain heavily, blowing across the open hillside where in 1943 a Canadian-crewed Lancaster on a night-time training flight had simply flown into the ground at 1560 feet, below Fan Foel. Besides the scar where the plane had hit, the only signs left of the crash were a memorial to the crew, and some shattered engine components – cylinder blocks and a twisted crankshaft. We set off again, this time SE uphill, with the rain blowing horizontally across our front. By now the wind must have been a steady 40 mph or more. The rain turned first to sleet, then hail, then snow. Apart from my hands, I was warm, dry and not that uncomfortable, apart from being battered by the constant wind and rain. After about fifteen minutes I felt a sudden change; I felt my body drain from head to feet. Before I collapsed I was helped to the ground, a shelter put around me, two first aiders left with me after the group leader gave us a grid reference and called Mountain Rescue, returning two hours later, shortly before the Mountain Rescue Team itself. We were two hours from the nearest road or track. The Sea King came about 1615; the winchman/paramedic jumped out, was briefed on my condition, laid down beside me and told me they were taking me to Swansea. I was helped into the Sea King, passed through the passage from the cockpit to the hold space, and laid down on the floor. It was extremely noisy, and I was very disoriented. Duncan covered me with a thermal blanket, put a headset on me, buckled himself to a safety line since we were taking off and the door was still open, and ran through my symptoms again. He told me that they had been halfway through watching the rugby, the England-Ireland match when they got the callout. Soon we landed on the pad at Swansea Hospital, perhaps 25 miles away. Duncan handed over to the air ambulance people, I was pushed into a cubicle at about 1645 and quickly prepped by a nurse – wired up to a monitor, a catheter put in my right arm, a wristband printed and put on my left wrist, my details taken. My wife arrived at about 1815, having driven the 120 miles from home – we had called her while we were waiting on the hillside. I was discharged at 1915. There seemed to be little identifiably wrong with me by now, besides an indication that my immune system was overactive. In the few hours since I collapsed I had been expertly assessed and looked after, then given a ride in a Sea King to the nearest A & E. In 2013 three soldiers died in the Brecons in circumstances not that dissimilar to the circumstances I had suddenly found myself in. Although there did not seem to be a lot wrong with me after all, without all the help I had received the story could have turned out very differently. Throughout, all that anyone asked of me was my name, date of birth, whether I had any allergies and was I on any medication? I filled no forms, I signed nothing. In the photo of the Sea King you can see “RAF Rescue” painted on the front. That will soon be gone. Some years ago the Ministry of Defence decided that they could not afford to replace the Sea King, and that Search and Rescue would be contracted out. Since then a good part of the cost of new aircraft has been spent on consultancy fees; the first tender was scrapped and then they started all over again. Among all the costly and useless vanity projects dreamed up by UK governments both Labour and Conservative – Trident replacement, two aircraft carriers, HS2 – one would have thought that the relatively modest requirements of RAF Search and Rescue might be preserved. In any case, one could add to the vanity projects the way in which contracting out and privatisation (almost) mysteriously pile up future costs. The Private Finance Initiative and Network Rail were invented as cunning ways of providing public sector goods without the costs appearing to be government debt; only to be compelled a few years later by European rules to add them back on to public debt after all. Student Loans are going the same way, the sale of the loan book being presented as a way of making a quick return on what is actually a very large long-term liability that will not be helped by the sale of the loan book. This is where loose talk of “balancing the books” gets you, instead of calmly assessing what goods and services should be provided, by whom, and how. It is after all up to the government to decide on the line between public and private provision. But the capacity to make consistent decisions seems today very limited. More positively, on 1 March I benefited from the skills of several well-trained and very competent people. When I collapsed Barry, the group leader, knew exactly what to do. He left me in a shelter with two first aiders, Sian and Peter; as a professional rowing coach I was trained in resuscitation and first aid, so I appreciated all the more just what they did for me. The volunteer Mountain Rescue was soon on the way to carry me out; the wind was initially thought too strong to land a helicopter, but the front moved through, the rain stopped and then the wind abated somewhat. Obviously I had interrupted the RAF’s afternoon watching the rugby. If it had not been for me they would have seen England beaten by Ireland. In any case, the Mountain Rescue would reach me on foot, and did. There is an economy in such a degree of redundancy in the deployment of all these resources: it is called efficiency. And it has nothing to do with markets and competition. 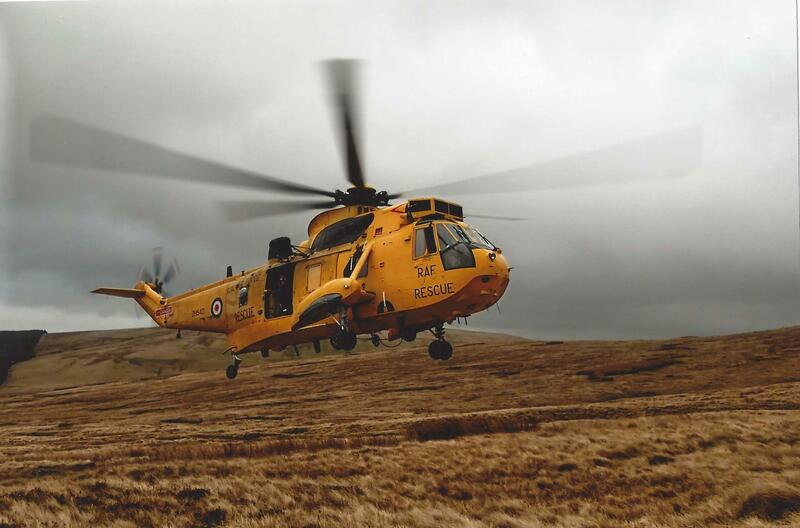 This entry was posted in Brecon Beacons, Competition, Privatisation and tagged Brecon Beacons, Mountain Rescue, Search and Rescue on March 17, 2015 by Keith Tribe.